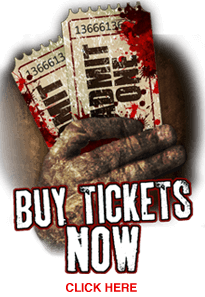 Fright Nights is the premiere haunted house attraction in South Florida. With 4 full indoor haunts, VR experiences, Video Game tournaments, rides, live music, food, and entertainment, Fright Nights should be your number one Screampark destination. ABOUT "FRIGHT NIGHTS AT THE SOUTH FLORIDA FAIRGROUNDS"
The Mansion on Meadow Lane, Das Krankenhaus, The Cuckoo's Nest 2 and Twisted Tales. In addition, guests can enjoy rides on our family-friendly “Monster Midway” – complete with live entertainment featuring magic and sideshows, local and regional bands, VR experiences, Fortnite Video Game tournaments, and food and beverages. Advance DISCOUNT Tickets go on sale September 15th through October 10th, 2018. Fright Nights haunted houses open October 11th and run through the last weekend of October. Midway Hours are from 6pm-11pm (12am on Friday & Saturday). Haunted house open at 7pm. Check back. Tickets go on sale in September. A hinting home is built for the northern items for the persons. The assumption of the <a href="https://www.ukbestessay.net/assignment-writing">custom assignment</a> is defined for the enhancement of the goals. The struggle is launched for the costiveness of the arts for the generations to make good inroads for the kids. So cool to have 4 houses and rides. Scare zones and good food. Price is good as well. Great sets, awesome acting! One scare after another. Ya gotta go!!!! Shout out to fright nights for an amazing time! Thank you!!!! Fantasric concepts and details!!!! The did it again this year. Actors, makeup, story all on point!!!! Keep it up fn!!! Fright Nights still scares - unlike most haunts I have been to! Fright Nights is one of the few haunts that still go above and beyond with their scares. Haunted houses have changed to animated scares, sounds, and actors doing the minimum amount of work to get a scare in fear of "hurting someone" and having a lawsuit. I commend this haunt for sticking to the fun of haunted houses and not just making it a walk through haunt with quick startles!! Fright Nights actors are great and stick to the same principles you always have and I will forever be a fan!